If you have a business in Prince Edward Island, you have to follow the Occupational Health and Safety requirements and provide enough supply in every workplace you own. You are responsable to provide an easy access to medical equipment in case of emergency and in preparation to any eventual incidents. The amount of equipment you need will vary depending on the amount workers. It is important to follow the requirements that are divided for less than five employees with a basic level one kit. Once this threshold is attained you need to provide a level two or three aid station for five workers or for sixteen employees to a hundred. All our packages are approved and are ready to be shipped to your door. 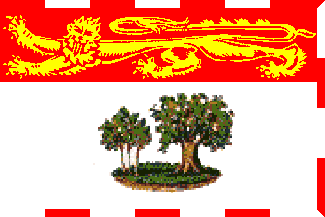 With one of our kit you are assured to respect the laws and level of security that need to provided in Prince Edward Island. You can also choose kits that exceed the minimal requirement to have what is needed when you will hire new staff. level 1 first aid kit - Up to 4 employees. level 2 first aid kit - Between 5 and 15 workers. level 3 first aid kit - 16 to 100 workers. Or our DELUXE KIT plus first aid station up to 4 employees.